The following is an article as it appeared in the Florida Book News on Saturday, 7 November 2015, and is a more complete version of an earlier post. 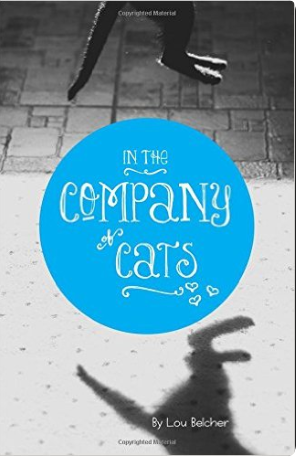 In The Company of Cats is the story of two brothers (Knuckles and Bugsy) who start out as demolition cats and end up teaching lessons in loyalty and joy through their story. You will laugh at their antics and shake your head at their persistence. In the end, you will learn some valuable lessons and may want to go out and adopt a cat or two of your own. 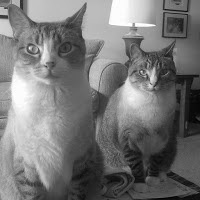 Bugsy and Knuckles invite you to enjoy the story of their formative first year in their forever home with Lou Belcher. If you liked Lou's first cat memoir, The Zen of Max (a memoir of great wisdom and many naps), this one will appeal to you also. Lou holds the firm belief that people should smile more. Consequently, she devotes much of her writing and painting time to whimsy. Lou will be signing copies in person at the Meet the Authors Book Fair at the Eau Gallie Civic Center during ArtWorks in the Eau Gallie Arts District, Melbourne, Florida on November 21 and 22; and at the Riverview Open Studio at 1708 Riverview Drive, Melbourne, Florida 32901 on November 28 between 10AM and 4PM.